The regional Scholastic Art & Writing Awards were announced. AGSvisual art students were well awarded, receiving a total of 12 awards! 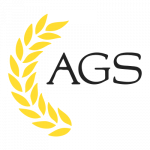 AGS students received an unprecedented number of Silver Awards. All Silver Award winners work will be digitally displayed in Savannah on March 9 at the Pei Ling Chan Gallery at SCAD Savannah. Atlanta Girls’ School provides a challenging college-preparatory program in a learning environment designed to foster the full potential of each student and to enable her to become a vital contributor to our complex global society. The AGS Annual Fund supports EVERY GIRL, EVERY DAY. © Copyright 2019. Atlanta Girls' School. All Rights Reserved.